The Associate of Arts Degree in Interior Design is for the career-oriented interior design student. Emphasis is placed on teaching the student a more technical, broader and advanced level of design. This Program explores in-depth aspects of residential design including construction, building codes, lighting design and ground-up construction of larger residential projects. It is ideal for a student whose goal is to practice design on their own or work for a large, residential design firm. The Program also explores smaller commercial design projects. 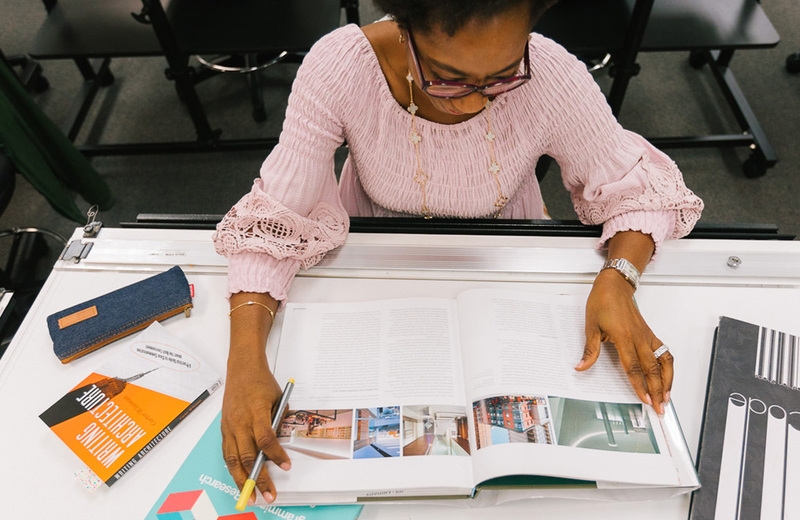 Upon completion, students may consider a design career in any of the following: model homes, set design, office spaceplanning, small-scaled commercial design, interior illustration/rendering, furniture, textile and wallcovering design, and lighting design. The A.A. Degree in Interior Design Program is scheduled on a quarter system. The student has the option of completing this Program in 24-48 months. Day and evening classes are available. Upon completion with a cumulative grade-point average of 2.0 or better, the student will be awarded an Associate of Arts Degree in Interior Design. The Degree Program has a total of 90 quarter credit units (equivalent to 60 semester credit units).